Homes have constant exposure to the tough Australian weather conditions including rain. When rainwater fails to drain properly, water collects and gets stuck in the areas between or behind the gutter. This may be a direct result of an incorrect fall, a common gutter problem that occurs when the gradient of the standard guttering is too level for the water to flow through. The end result? Water pools and consequently, stagnates and often overflows into the home. 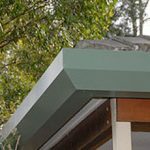 How do I reslope my gutter? Inspect the gutter and check if it is incorrectly sloped. If it is improperly pitched, you will need to adjust the gutter slope. Ask someone to hold the gutter while you loosen and remove the gutter brackets or hangers. Pull the gutter down about 3 quarters of an inch lower than it originally was. Put a temporary screw at the back to adjust the pitch. The gutter should have a quarter inch of slope per 10 feet. Once the gutter is properly pitched, re-install the gutter brackets. 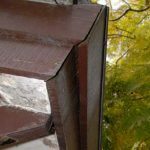 Why is it important to fix improperly pitched gutters? How can you spot and fix improperly pitched gutters? Roofing and guttering experts recommend that gutters have at least a quarter inch of slope per 10 feet to avoid standing water on your roof gutters. Roof gutters need to be pitched toward the downpipes for the water to flow properly. A correct gutter slope prevents standing water caused by rainfall from accumulating on your roof gutters. Debris, which can be anything from sand, silt, rock, leaves and dirt, will not seep through and remain stagnant. Having a correct gutter slope helps the gutter system to flush off the debris, whereas a level gutter system will have debris accumulating. The roof gutter, also known as a rain gutter, dripster, eavestrough or eaves channel in other parts of the world, is a narrow channel whereby rainwater, leaves and debris fall. Coupled with debris that causes added blockages, water cannot flow effectively through the downpipes, resulting to overflow and potential flooding into the home. Failure to inspect what is going on and do anything about it can lead to rotting fascia timbers, seepage and pooling of water into wall cavities or rising damp issues. To consult a gutter expert, call 1800 897 444. 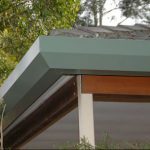 Working on hundreds of house gutters over the years, Easy Fall Guttering provides a range of Sydney guttering products such as leaf guards, pergola guttering and more. We provide the best alternative to an ineffective gutter system that only results to incorrect fall. At Easy Fall, we are dedicated to solving guttering issues of incorrect fall. This is why we’ve come up with our revolutionary product—the patented EASY FALL™ bracket. Fully adjustable, it allows more than 75mm of fall. This ensures that during the heaviest of rainfall, all the water continually flows to the downpipes (or downspouts) and into your drainage system, ending the problems associated with incorrect fall. 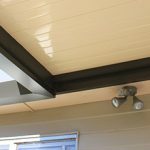 Best of all, our guttering system is designed to hide the slope, so it appears parallel to the roof and is therefore, aesthetically pleasing. At Easy Fall, we solve problems others can’t. Replace your gutters with the innovative Easy Fall Guttering system. 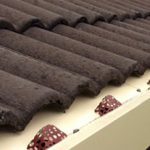 Contact us today on 1800 897 444 and we’ll discuss our product further with you as well as provide tips on maintaining gutters, downpipes, and other roof drainage systems.